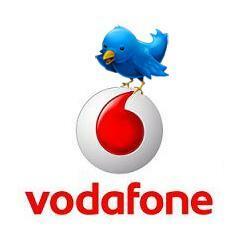 Vodafone India offer free Twitter access for all Vodafone prepaid and postpaid mobile Users.Now Vodafone Users can access Twitter through Android app or by default Web browser. Twitter is one of the most popular social Network Mostly used by celebrities to tweet and Follow. In India Most of the users Uses Facebook hence to promote Twitter in India, They are giving it free for all Indian Vodafone users. If the Users is Using any Mobile except Android then the user have to Open browser and have to type "mobile.twitter.com" and Click on go button and Login to your Twitter account and use it for free. If you are an Android User with Vodafone SIM card then Download Twitter official App from Play.google and Use twitter free for 3 Month on Android Mobile. To Access Twitter free on your Mobile, you have to do small setting in Internet Setting. Set APN as "www"
NOTE :- If You are an Blackberry Users then This offer is not Valid for you.